Forget the Monday blues. Drinks by the Dram has a right tasty treat hidden behind door number 3 of the Whisky Advent Calendar! Welcome to the first working day of Advent 2018! And what a fine pair of drams there were to discover over the weekend. After a corker of a Lost Distilleries Blend on Day 1, there was Starward New World Malt Whisky all the way from Australia on Day 2! Last month we joined Diageo to taste the Special Releases 2018 cohort – but there was one expression we were asked to keep under wraps. Until now. The mysterious 10th Scotch whisky expression is… Cladach! ‘What IS Cladach?’, we hear you cry. No, it is not the first release from a secret new distillery (although like many new releases it doesn’t carry an age statement). 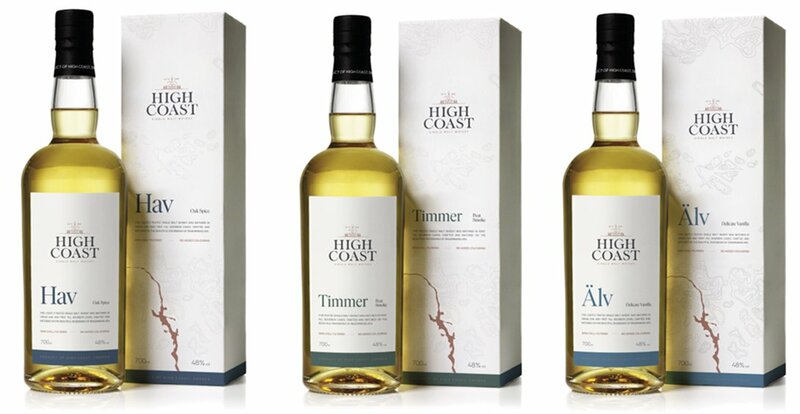 It is a blended malt from six coastal distilleries: Caol Ila, Clynelish, Lagavulin, Oban, Inchgower and Talisker. And it’s delicious. Master of Malt meets Malt Master through a new Singleton expression from Dufftown Distillery: The Singleton of Dufftown Malt Master’s Selection! For us whisky-loving folk, there are few things we adore more than a big product launch to get all excited about. Diageo Reserve observed this fact, and so threw a big event to launch its latest labour of love: The Singleton of Dufftown Malt Master’s Selection! With past distillery releases few and far between, Mortlach (or ‘duck massacre’) now has its own shiny new core range! Time to jump in with Rare Old, which has a greater bourbon cask influence than you may expect alongside the more familiar Sherried spirit. Well would you look at that – it’s the first day of Whisky Advent everybody! This is my very favourite time of the year as we all get to count down to Christmas Day with Drinks by the Dram’s wonderful Whisky Advent Calendars! In fact, I’m so delighted I’m going to bring you some Whisky Advent treats each and every day (see below). Don’t have a Whisky Advent Calendar yet? Well it’s certainly not too late, you’re only one day behind so get your order in right away! For the rest of us it’s time to open the first window… behind which you’ll find… Haig Club single grain whisky! Yes indeed, the David Beckham one. Ho ho! On Tuesday evening I found myself the nearest thing to a corner possible at a curvy and buzzing Magazine Restaurant in Kensington Gardens on a cold, rainy November night. Here I would attempt to write some meaningful tasting notes for 11 limited edition cask strength single malts in a couple of hectic hours, including the time it would take to fight through the crowd each time I needed to move on to new whiskies, and the time it would take for the smell of prawn hors d’oeuvres to dissipate each time the diligent waitresses came over to offer them. Meanwhile, our Spirits Buyer Toby Cutler (he’s nice, you’d like him – he really enjoys a good picture of Kevin Costner, or Chris Tucker for that matter) was having no such problem as he enjoyed a range of whiskies, some quite valuable, in a leisurely fashion alongside some pleasant conversation. Add all of this up, and it can only mean one thing: it was the launch of Diageo’s much-anticipated 2014 Special Releases! Back in December I visited the Worship Street Whistling Shop for a very special, two hour long ‘multi-sensory experience’: the final Diageo Whisky Theatre of the year. The project is the work of irrepressible Diageo brand ambassador Colin Dunn and the Fluid Movement duo of Tristan Stephenson and Tom Aske who have presented similar experiences in the past, for example with rum, but the mention of whisky certainly caught our attention immediately! I believe Tristan also has a whisky book coming out this year too – one to watch out for. There is (just) room for nine people but I was joined by a fab four of Gin Monkey, Imbibe’s Laura Foster (recent winner of the Alan Lodge Young International Spirits Writer of the Year), Siobhan Payne from Difford’s Guide and London Cocktail Week and Alex Kratena off of The Artesian (named The World’s Best Bar for the second year running in 2013). The Diageo Special Releases 2013 – Yeah Boyeee!!! 2 Comments on The Diageo Special Releases 2013 – Yeah Boyeee!!! THE SPECIAL RELEASES ARE NOW LIVE AND CAN BE FOUND HERE! Got a letter from Diageo the other day. Opened and read it. It was about their Special Releases. They wanted us for their tasting, or whatever. Picture me turning down drams, I said “Hell yeah!”. We will indeed be stocking all of the 2013 Diageo Special Releases shortly – and yes – they will all be available as 3cl Sample Drams too. You’re welcome. They should be with us any day now, but for more details as they land be sure to keep your eyes glued to the @MasterOfMalt twitter account.